jon have you noticed chaffing on the blue forge dv pipe you have right were it meets the a/c pipe ? Can't say that I have. Excuse the dust LOL. Ahh i have with mine ive since adjusted it slightly so hopefully now its not as bad . Whilst I was checking over the car. 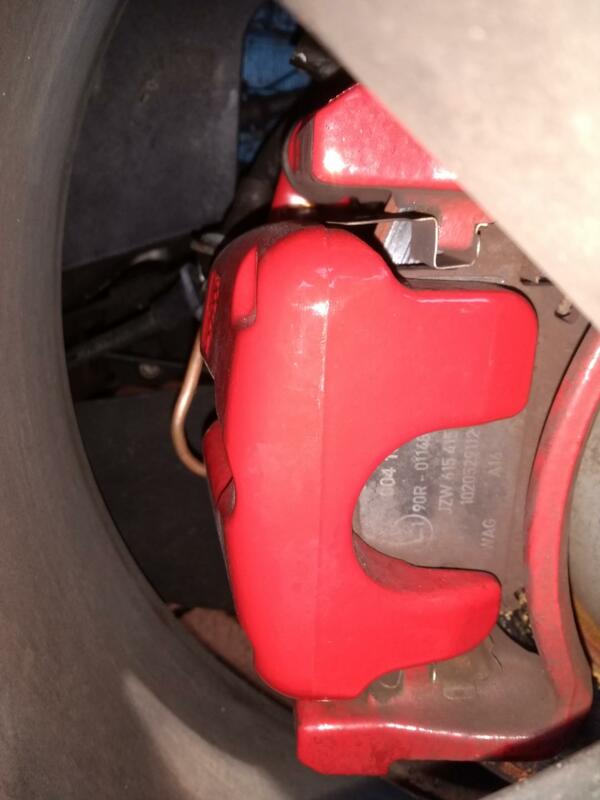 I used the brake thickness tester on the front pads. Twice. Then went and got a ruler because I didn't believe it. But tis true. My front pads are down to 7mm after 5000 miles. Can't remember if they started at 17 or 22mm. But either way I expected more than that from em. Wonder if it's the slotted discs that cheese grated them? what pads have you got jon ? I stand corrected. Ecp reckon they start at 16mm. 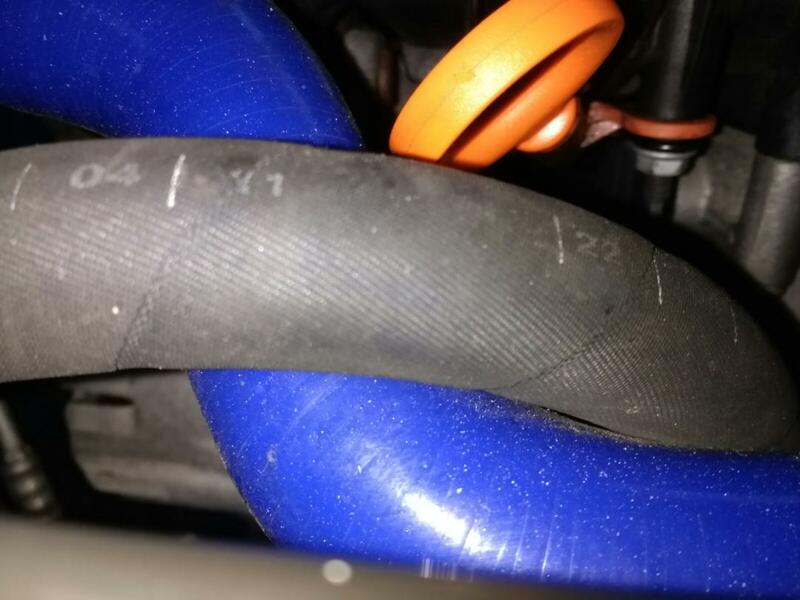 They are Pagid, off the 2.5l Audi TT. Hopefully they've worn so quick because of the bedding in material. Guess I'll see how quick the next 4mm goes. On the bright side they are only 40ish a set. I'm still on my OEM set of pads from a SEAT garage which went on in October 2017 lol done 10k on them so far the garage said they still have plenty left. 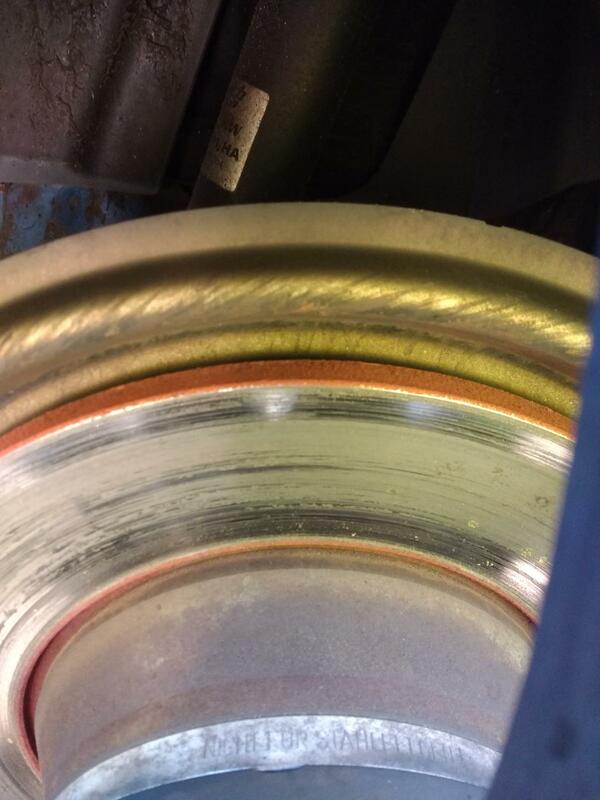 I had pagid on my old mk5 gti the didnt wear that quick but kicked out alot of brake dust , are you stage 2 + ? Yeah. Same with my OEMs. But then again OEM seem to start much thicker as well. Guess it's cause of the toaster like design. Yeah the dust is insane. Everyone thinks my wheels are anthracite. But they are actually bronze. Yeah, stage 2+ with the DB9 calipers. Good news, two brand new rear callipers! Woo! ash_89, Sharpy, Brimfull and 1 other person like this. @Legojon love your car and I think you have more than enough power. *c/w supertech uprated valves and springs and standard cams. *HEP stage 2 inlet manifold c/With secondary injectors, wire Loom inc , powder coated black and fuel rail in Candy red . *Nortech stainless manifold c/w heat sensor and wiring. *Garrett GTX 3076r Gen 2 turbo with a turbo smart external wastegate and 3" stainless downpipe also thermal heat rapped and jacket on the turbo and engine bay stainless heat shield. *Comes with Air intake and Revi foam filter . * Syvecs Stand Alone Plug an play ECU capable of running all your cars needs plus both Direct and port injection together. bigT's lcr, Legojon, Yellow fr and 1 other person like this. Let’s all chip in so @Legojon can have this. Haha, I'm up for that!! Will it be like Doms car from fast n furious? I'm wondering exactly that. LOL. And also worrying about turbo lag. Maybe for my third mid-life crisis... which I don't feel is that far away. 2.2 Secondary air injection, or inlet bypass - Pretty sure this engine has this fitted.